Want More Joy? Watch “The Joy of Less” TED Talk! Have you ever watched a TED Talk? If you’ve seen dozens, like me, or never watched one before, this one can’t be missed! In this brief, but moving video, Kim Coupounas shares her life of “more,” her struggle with miscarriage and loss and her journey to the joy of less. As I look back over the Christmas Holiday that just passed, there was another story of grief and loss; a baby that was never born. The grand daughter of a good friend experienced a miscarriage that was followed with three months of physical complications and pain. Her emotional saga finally came to a close with a final procedure that took place the week before Christmas. It has been a very difficult time for the family. 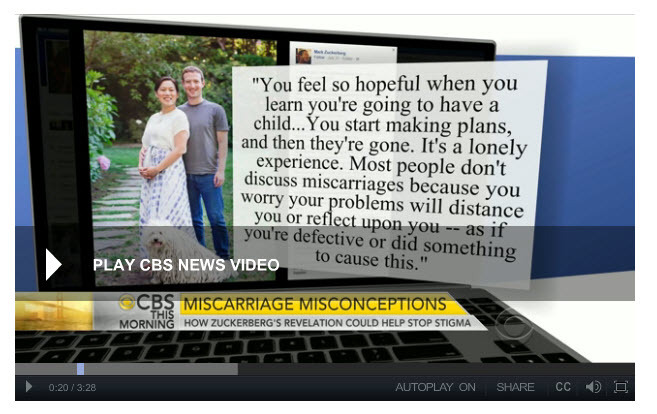 I thought about how many times I have seen and heard about stories just like this one in my many years of supporting families who are dealing with the grief and loss of miscarriage. The “regularity” in which it seems to happen is striking and disheartening. It could become easy to focus on this very sad reality. But then I think about all of the new babies that I have welcomed into the world this year, and years gone by, with gifts and showers and notes of congratulations. Just like anything else, we can choose to see the tragedy the world can bring, or the hope we all long for. During the Christmas Season we tend to turn our thoughts to the joy and peace we’d like to have all year long- not just while we attend festive parties, eat our goodies and tear open gifts with family and friends. 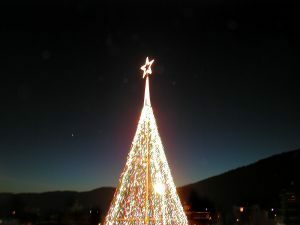 When the tree is taken down and the gifts have all been put away the spirit and joy of Christmas can disappear as well. It can be tough to hold on throughout the year- especially if we are dealing with grief and pain. Unless we remember that Christmas is about a baby- a baby that was born to bring us a peace and hope that does not fade when the decorations are put away. Want to know more about this baby? Would you like to know a peace that does not get packed away in attic each year? Find a pastor, rabbi, priest, church or trusted friend who can tell you more. May you find and keep the Christmas spirit throughout 2018 and beyond. This post is run each year during the Holiday Season. May it bring you peace in the year to come. HopeXchange is proud to welcome guest poster Jeff Ferris. Jeff is the founder of RehabCentersInNJ.com, New Jersey’s premiere recovery service. He is partner with a network that has helped thousands of people get back to the road of substance abuse and mental health recovery. Grief is hard for anyone to deal with, but for a mother, it can be crippling or even deadly. There is no feeling that is as devastating as losing a child. Many people know that it’s not the way God intended it. Children outlive their parents, but few know the real pain of a mother who’s in it. It’s sad when other people pass away, but it’s just not the same as when a woman loses the baby that she carried in her womb and loved from day one. I write this to let you know, as a WARNING, a mother can be susceptible to drug or alcohol abuse. This isn’t a stretch of the imagination, I know. But I wanted to bring comfort and let you know the alternatives, so that when you have better days it won’t be drowned out with artificial stimuli. Instead, the better day will be a step in the right direction to make the best of your time here on Earth. When you lose a child, all the dreams and plans that you had for the child are shattered within seconds. It’s actually quite easy for someone to turn to substances at that time, especially if they don’t have any support from others. They may not intend to abuse such substances. The initial ingestion may just be an honest attempt to dull the excruciating pain. Unfortunately, both alcohol and drugs, even prescription drugs, can grab hold of a person quickly in terms of physical dependence. Narcotic painkillers, for example, often hook legitimate patients before they even finish their first prescription. Imagine the temptation of a woman who loses a child in a horrific surgical process and then realizes that the very pills that the doctor prescribed her could eliminate her emotional pain. Wouldn’t she be tempted to just keep taking those pills forever? That’s just one real-life example. 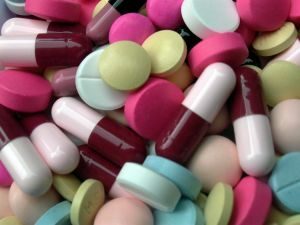 That particular woman didn’t develop a substance abuse habit, but it would have been easy for her to do just that- and it wouldn’t have been her fault in the least. Grieving women who do fall into these traps deserve some understanding. The devastation that you’re going through needs a specific kind of attention. You have to enter into two battles: one that will help you with the loss of your child, and one that will help you with the substance abuse. Many times, people try to offer condolences, and they don’t help because they end up saying the wrong things. What you need is a group of people around you who have grieved in a similar fashion and have come through it in good spirits. I’m glad sites like this exist to help you relate and let you feel like you’re not alone. However, a page on a site can’t fulfill our need for companionship, especially in devastating times. You need people who understand how heartbreaking it is to have a life inside of you and have it ripped away from you at any stage. For your recovery, you can use a variety of resources. A full-blown rehabilitation center will give you the highest recovery percentage, but that doesn’t mean that you have to go that route. You could sign up for outpatient rehabilitation, 12-step programs or counseling services that address your specific needs. If you’re a private type of person, you could perhaps get one good friend who will hold you accountable for your actions, encourage you, pray for you and do beneficial activities with you while you go through the difficult stages of recovery. Self-help is not out of the question or ineffective by any means. You can fight the battle alone, but it is always better to have at least one other person in your corner. You’re a unique individual with unique circumstances, so your resolution may not be the same as someone else’s. You may want to contact a referral service or an anonymous hotline so that you can get someone who can refer you to the best resource for you. No matter what you do, remember that time and faith heal all things. If you are not on narcotics then you are ahead. Sometimes we don’t care for much psychological babble about “grieving processes.” However, counselors and strong friends and family are the best thing for anyone grieving. Please consider getting help. Professional or not, reach out, this is your time of need and good people are there to help. Light a flame to remember your baby. Pregnancy and Infant Loss Awareness Month is a great time to remember and memorialize your baby. 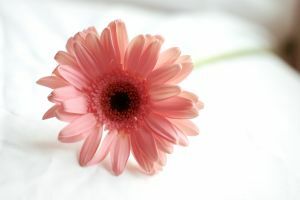 Here are some tips we share each year at this time, adapted from the book Hope is Like the Sun: Finding Hope and Healing After Miscarriage, Stillbirth, or Infant Death. There are countless ways to remember and honor your baby. No matter how much time has passed since your miscarriage, it is never too late to memorialize your child. – Create a memory box. Include any mementos you may have from your baby. A positive pregnancy test, a toy, stuffed animal or outfit you bought for the baby (if you do not have one, then buy one). Anything you may have that reminds you of your pregnancy or your baby can be included, even if you just have a few things. – Make a donation in your baby’s name. Publicly acknowledge your child by making a charitable donation, or give something to a needy child that is the same age your child would have been now. Also consider submitting an article or poem about your baby to a newspaper or magazine. – Make something for the baby such as a quilt, a painting, a cross stitch, an outfit, a piece of pottery or furniture. – Buy a piece of jewelry that symbolizes your baby. Your baby’s birthstone, or an engraved necklace with your baby’s name can be good choices. – Plant a tree or garden in memory of your baby. You may even choose a houseplant or indoor tree. Decorate the tree at special times of the year to remember your baby. – Add your baby to the family tree. If you named your baby, add him or her permanently to the family by including the baby in your family tree. – Donate baby items that you may have bought or received to a worthy charity. You may also do this in your baby’s name. – Have a celebration each year on your baby’s birthday or due date. – Include your baby in the hospital’s Remembrance Book. Most hospitals have a remembrance book, and even if your baby did not die in a hospital, you can contact the Chaplin at your local hospital. – Light a candle for the baby every evening until you feel you do not need to anymore. After that, burn it once a month, on Pregnancy and Infant Loss Awareness Day, or on special anniversaries. Remembering your baby is a very personal thing. There is no right or wrong way to honor your child. Taking the time to memorialize your baby will bring you closure and comfort as your move through your grief, and work toward recovery. – Add your baby to the HOPE Canvas. Create a “virtual” square in honor of your baby and add it to the HOPE Canvas. Share it with your friends and family to remember your baby. Find out more information on The HOPE Canvas page. Last night was the arrival of the Perseid meteor shower. I am always intrigued by space and the heavens, so I stood out in my front yard at 11pm last night, hoping to see something special. As soon as I picked a spot away from the porch lights I saw a blazing “shooting star” directly in front of me. It was big and shimmering- bright and slightly orange falling across my neighborhood sky. It was so exciting that I immediately wanted to see another one. I stood in the yard for almost an hour, spotting some small streaks and momentary bursts of white trailing shimmer, but nothing like the beautiful burst I had seen in the beginning. After going back inside, the lure of seeing another meteor like the first one took me back outside. As I stood gazing at the sky, now getting a crook in my neck, I had a strange thought. The amazing star I saw streaking across the sky when I first came outside reminded me of my first pregnancy. It was joyful and mesmerizing- a new experience that was exciting and big. Until it ended. Until I found weeks and months after it all began that my baby’s heart never started beating. My incredibly beautiful star had gone out. The shimmer was gone. 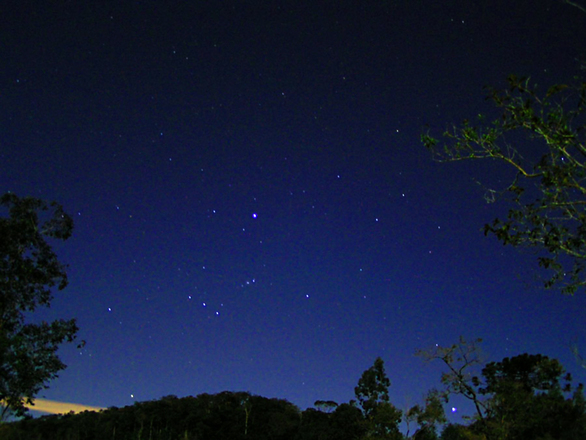 I waited to try again, prolonging the possibility of that 2nd shimmering star. Anxious, afraid, unknowing. And when I finally did become pregnant again, the star wasn’t as bright as the first one. Fear creeped in and my blazing light was a smaller streak now. But I still had hope. When I stood in the yard for the 2nd time last night, not one streak appeared. I didn’t want to give up to easily- I really wanted to see one more. Finally, I decided I had to go in- my eyelids were giving out- it was well after midnight now. As I slowly worked my way back to the front door one more star trailed above my head with a white shimmer. I smiled. It was just like the hope I had to try one more time…wait a little longer…have some faith. And just like the final star that streaked above as I was giving up, my healthy baby girl arrived- shiny and perfect. And it was even more unbelievable another star appeared and my 2nd baby girl brightened our world. Last night was such a great reminder that we all need hope. Whether you are waiting to see a shooting star or to find love, or to stop hurting or to have a baby. We have to keep our hope alive, so remember to look up. After the loss of a baby, Father’s Day can be a painful time for men that isn’t widely discussed or recognized. They will often hear friends and family asking their wives how they are doing, but rarely do men recieve the same type of attention. The lack of understanding and support offered to men makes grief a very complex and difficult situation for them. Ask what you can do. It is very important to ask what you can do to help a man during his grief, and then do your best to meet his needs. Keep an open mind. Remember that grief is an individual experience. Assuming that a man is not feeling pain if he grieves differently than you will only cause strife and misunderstanding. 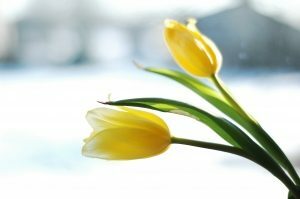 Dealing with pregnancy loss is difficult for anyone. Understanding a man and giving him the space and support he needs will be critical. The above information was adapted from the book Hope is Like the Sun: Finding Hope and Healing After Miscarriage, Stillbirth, or Infant Death.